Biotin or B7. or also known as vitamin H (Haar and Haut, which means hair and skin), have long been known for its benefits, the Function biotin pills for hair to maintain the health of skin and nails. The benefits of biotin for hair in particular is believed to strengthen and thicken hair and reduce hair loss. Is it true? Biotin is a component of the enzyme that serves to convert food into energy by breaking down fats, carbohydrates, and other substances in the body. 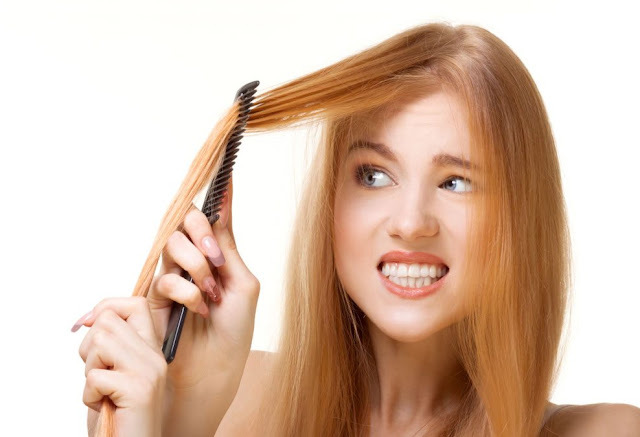 One of the symptoms in the body that biotin deficiency is hair loss. In some studies the early stages, showed that consumption of supplements of biotin and zinc, accompanied by the use of a cream clobetasol propionate can reduce hair loss. 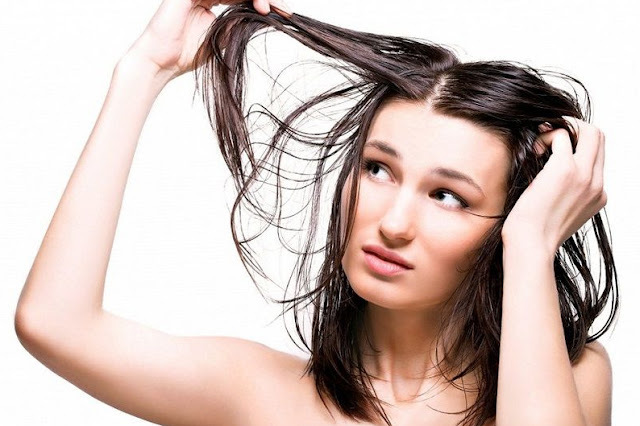 However, the shampoo or hair products which contain biotin has not been proven beneficial. The consumption of biotin suggested that 30 to 100 micrograms per day for ages 18 years and over. Cases of biotin deficiency is relatively rare, because a lot of types of food that contain biotin and the body's ability to meet those needs. Biotin can be found for example in bread, grain cereals, nuts, salmon, chicken, eggs, or dairy products. Read more : Cinnamon Pills Weight Loss or Cinnamon Supplement Diet ? The Food and Drug administration U.S. (FDA) does not have the dietary recommendations of biotin per day, because the case deficiency biotin is quite rare. However, a dose of biotin can vary based on age, gender, and overall health. Experts recommend the dosage guidelines the following. Anyone aged 10 years or older should get between 30 to 100 micrograms (mcg) per day. Infants and children should get 10-20 mcg per day (age 0-3 years). 25 mcg (ages 4-6 years), and 30 mcg (ages 7-10 years). Women who are pregnant or breastfeeding may need biotin with a higher number. Talk with Your doctor about the daily intake that is right for You. Your doctor can give you guide how to increase the dose of biotin is safe to give the maximum benefit. You can meet the dosage biotin recommended through the food menu or with taking the supplement biotin. Supplements of any kind that is intended specifically for hair, skin, and nails have a risk. If You are planning to undergo laboratory tests, the consumption of such supplements in small amounts can mess up Your test results. Especially if You do the test associated with elevated levels of thyroid or hormones, the levels of troponin heart (used for the diagnosis of heart attack), or levels of vitamin D. It can provide the test results are false or an error diagnosis of the harm. The Food and Drug administration U.S. (FDA), even gives a warning that the effect of biotin on the monitoring of triponin has resulted in occurrence of one case of death due to incorrect test results. To prevent the occurrence of errors the diagnosis of medical conditions such as this, inform Your doctor which type of supplement You consume, when You will undergo laboratory tests. Smoking can lead to the body lack of biotin lightweight. If you want to consume the supplement biotin, it is recommended to consult first with the doctor. Especially for women who are planning to become pregnant, are pregnant, or breastfeeding. Should you take biotin supplementation ? The supplement biotin is actually not popular prescribed by a doctor. However, if You are inedible ads or want to have hair as pretty as Kendall and Kylie Jenner, make sure the supplement You buy is made by a manufacturer that has a good reputation. Said by Sandra Arévalo, R. D. N., a nutritionist from the Hospital Montefiore, the U.S., the average amount of intake of biotin per day (adequate intake) is up to 30 micrograms for women aged 19 years and above. While for pregnant women is 30 micrograms and for nursing mother, 35 micrograms. If the above does not succeed, consult a doctor. Next the doctor will assess the pattern of hair loss You are experiencing, as well as looking for the cause of loss through interview and physical examination. You can also consult to a nutritionist about should the intake of supplements of biotin, in particular if You are undergoing a certain diet.